Each sleeping tent offers double or twin beds with seating area and bathroom (shower, toilet and hand-basin) with running hot and cold water. 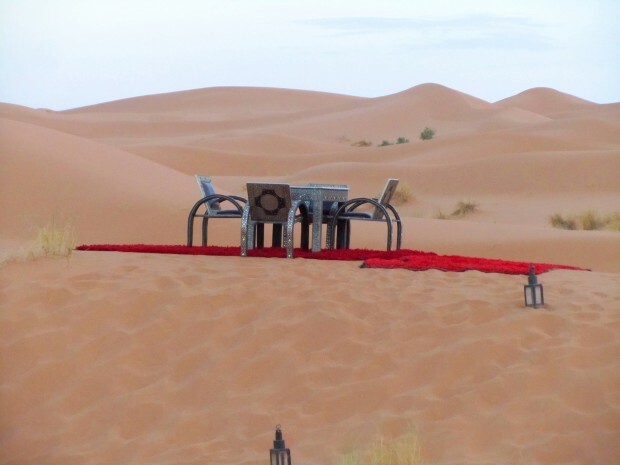 Relaxation areas at the luxury desert camp give wonderful views of the Erg Chebbi sand dunes. 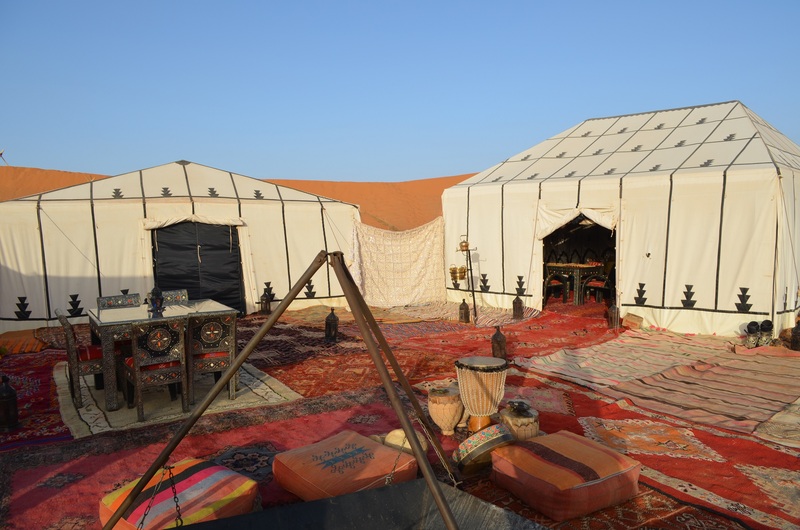 A tented restaurant offers traditional three-course evening meals. By night, a campfire is lit and guests can enjoy traditional fire-side singing and drumming. 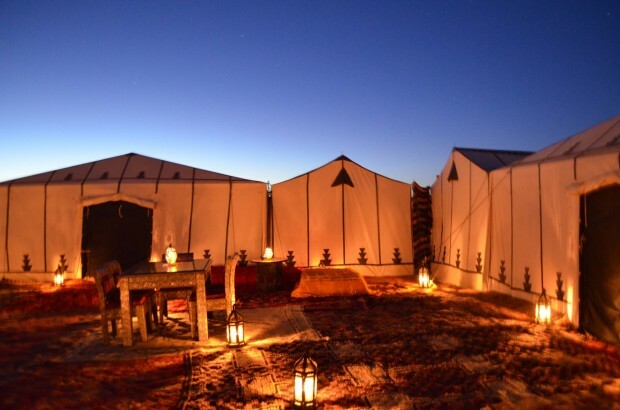 There are many activities offered from the camp, some of which are included in the price of a stay (such as camel-riding, guided walking, games). 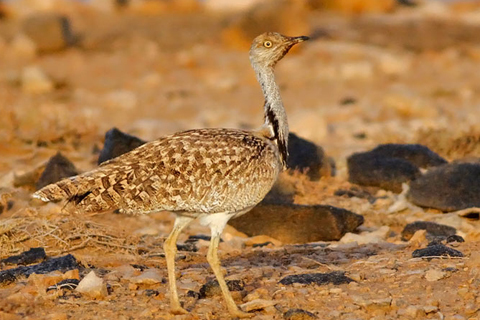 The main luxury camp also arranges stays at its satellite private luxury camp in the same region of Erg Chebbi dunes – the private luxury camp is arranged on an exclusive basis for a couple or small group.